FAT LAW FARM: Hawaii's largest exporter of basil to the mainland United States and Canada. BY MALIA ZIMMERMAN – Fat Law Farm, which deems itself “The King of Basil” in Hawaii, was ordered by the state Department of Health this week to destroy its entire basil crop – all 29 acres – because it used an unapproved pesticide. Through spot testing, DOH investigators found the farm was using the pesticide methomyl at two of its farm properties. Methomyl is toxic to humans and for that reason was unapproved for use on some foods. The U.S. Environmental Protection Agency has a “zero tolerance” for methomyl on basil. 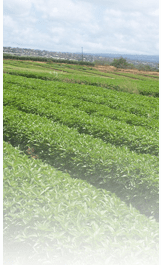 According to the Hawaii Department of Health, basil samples collected on FAT’s Ewa farm on April 12 showed 0.045 to 3.49 parts per million (ppm) of methomyl; additional samples from the Kunia farm contained a range from non-detectable to 0.507 ppm of methomyl on the basil. Gary Gill, spokesperson for the agency, said Fat Law is a well-established professional farm, with licensed applicators knowledgeable about what is allowed and what is not. The basil crop in Hawaii is valued at more than $5 million a year, with much of it exported to the U.S. mainland and abroad. Fat Law Farms operation, which is run by Frank, Alice and Tim Law, accounts for over 80 percent of all basil exports from the islands. Fat Law will be banned from selling, giving away or distributing through any means the basil until subsequent samples indicate zero levels of methomyl. There could also be additional monetary penalties, Gill said, and the DOH also will be accelerating its testing. “Given the additional data we collect, we will be able to determine how widespread the problem is,” Gill said. While the health department believes the Fat Law basil crops tested on April 12 and 17 may have been distributed to consumers in Hawaii, Gill said the department does not consider the situation to be a significant threat to public health, because methomyl is approved by the EPA in minimal amounts for use on a variety of vegetables such as tomatoes and parsley leaves. Attorney Clare Hanusz, who with Melissa Vincenty has represented several farm workers in cases against farm owners involving alleged human trafficking, visa fraud and poor working conditions, said she has heard reports of unapproved pesticides being used for years on Fat Law farms and dozens of other farms throughout the islands. FAT Law Farms was named the U.S. Small Business Administration state and regional winner for exporting in 2006. No one answered the phone at Fat Law on Friday, but its web site talks about the family business: “’FAT’ in Chinese means good fortune or prosperity but it is also an acronym for Frank, Alice and Tim who have worked hard to grow, market and export fresh Hawaiian herbs to the mainland United States and Canada. The Law family is well known in the farming community. Tommy Law and Tony Law, brothers to Frank and Tim, also run their own farms on Oahu. The family is originally from Laos, and started farming in Hawaii in 1986. In late 2011, Hawaii Reporter produced a series of investigative reports related problems involving pesticide and working conditions at both Tony and Tommy Laws’ farms. In December 2011, Alay Tansili, 46, who said he worked for Tony Law 7 days a week for $1,500 a month as a farm laborer and lived at his farm in a makeshift plywood shack with no plumbing or electricity and no furniture except for his cot, suffered a severe and debilitating stroke and was hospitalized at Castle Memorial Center. Alay said he had many bad reactions after mixing and spraying chemicals on the crops and burning the chemical containers as he was directed. After handling hazardous chemicals without training or protection for as many as three days a week for at least four years, he collapsed. Alay was here living and working illegally, had no health insurance and needed considerable rehabilitation in order to walk again. Alay’s friend, Khamfanh Keohavong, also here from Laos living in Hawaii illegally, worked on Tony Law’s farm with Alay for four years before quitting for similar reasons. Khamfanh told Hawaii Reporter he collapsed several times after spraying the same chemicals that hurt Alay. A doctor in Queens Medical Center said the chemical exposure may have caused Khamfanh to develop a brain tumor. Vincenty visited Tony Law’s farm after Alay fell ill. Vincenty said Alay and Khamfanh have worked under “terrible conditions” and they were sickened after spraying chemicals several days a week over a period of years. While Khamfanh experienced blackouts and numbness is his limbs, Alay suffered from rashes, shortness of breath, headaches, fatigue, numbness in his arms and legs and the loss of his sense of taste. Tony Law told Hawaii Reporter Alay was just his friend, and only he mixed and sprayed chemicals on his produce. Even though doctors had already told Law that Alay could not be released, Tony Law, who told Hawaii Reporter in December he wanted Alay to go home to Laos to be with his family, came to pick up Alay at the hospital. He brought two other men with him to the hospital and wheeled Alay out of his room toward the elevator twice on a Saturday morning. Vincenty said the first time a nurse stopped Law, and the second time, Alay’s friends who came to visit stopped Law and told him Alay could not leave the hospital, much less Hawaii. Law denies he was trying to sneak Alay off the grounds and said he was only trying to give Alay a break from being in his small room. But in the end, Tony Law sent Alay back to Laos. Through a Hawaii Reporter translator, Alay disclosed Tony Law paid him $2,000 in cash and bought him a plane ticket to encourage him to go home. Toune Tipphavanh, a 51-year old Laotian farm laborer working at a Kahuku farm owned by Tony’s brother, Thomas Law, became ill at work and died shortly afterward. A cremation ceremony, which Hawaii Reporter’s Jim Dooley attended, was held for her in early November. In another case involving the Law brothers, Toune Tipphavanh, a 51-year old Laotian farm laborer who worked on brother Tommy Law’s farm, became ill at work and died shortly afterward. 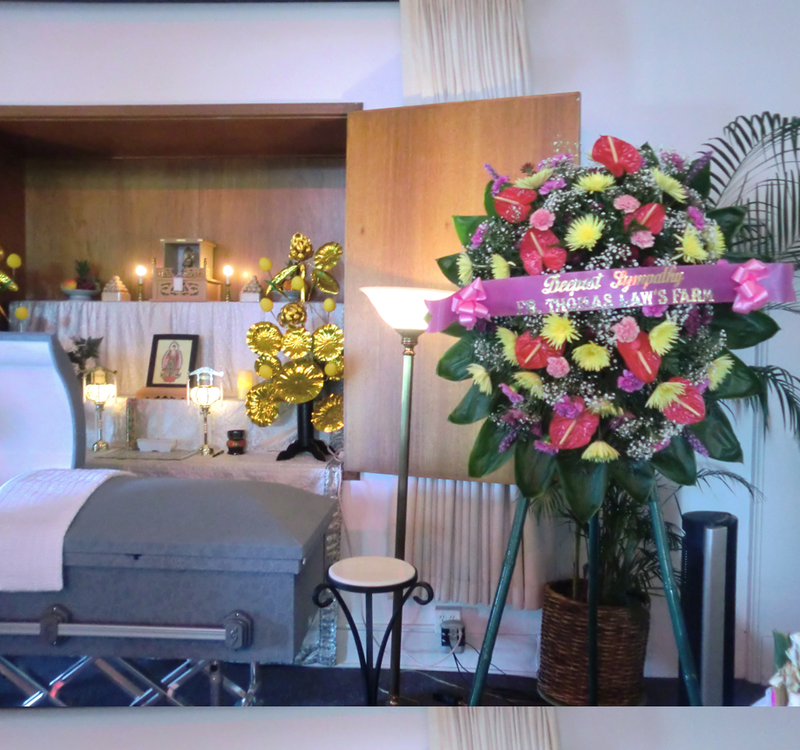 Hawaii Reporter’s Jim Dooley attended a cremation ceremony held for her in early November 2011. Friends said Toune was not taken to a doctor for several years despite a known heart condition. Her husband, who traveled here with her in 2006, returned home to bring their children the sad news. While Gary Gill did not comment on problems at the other brothers’ farms or expand on the current problems at Fat Law, the state Department of Health spokesman said the sale and use of pesticides are strictly regulated because they are dangerous to the applicator in concentrated form if not used properly. He said applicators must have training, and wear proper gear while they are spraying, or it could have a potential negative health impact. Improper use can also have a negative impact on consumers, he said.